How many years do you need to learn English? - Solve Education! 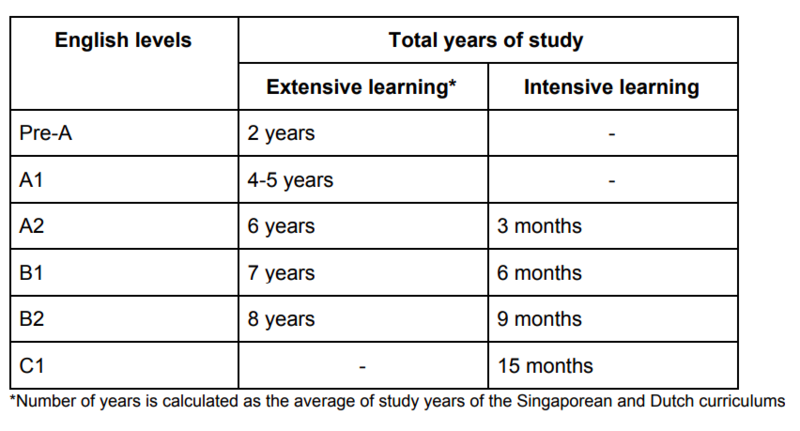 Learning hours per week in primary schools are fewer than the amount of learning hours in test prep institutions since primary school students must split their time and attention for several other subjects as well. Therefore the conclusion is divided into extensive learning (school curriculum) and intensive learning (test preps). 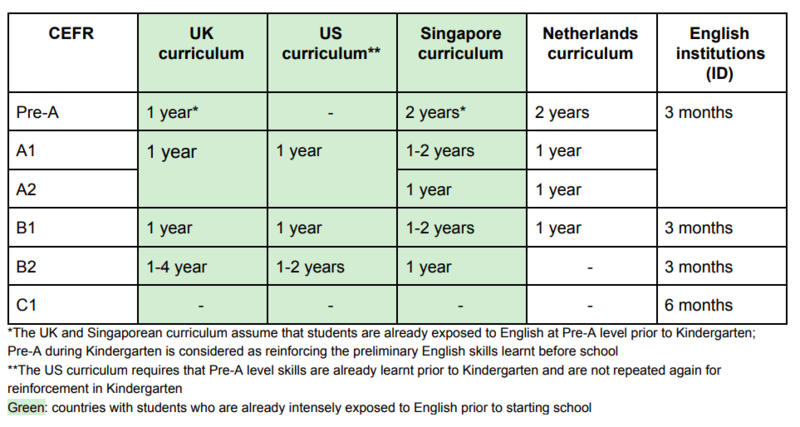 Comparisons to the UK and US curriculum are not as relevant as comparisons to the Singapore and Netherlands curriculum as the CEFR is designed to grade learners of a second language. The curriculum in the UK and US are designed for native speakers of English with early exposure to the language, therefore their curriculum is more focused on literacy skills than the language itself. For more detailed explanations of each curriculum, please download the full document below.